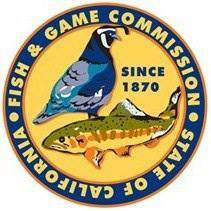 Proposal requiring Fish and Game Commission to establish working group placed on suspense file. SACRAMENTO — A State Senate bill proposing to create a formal Tribal Committee within California’s Fish and Game Commission was placed on the suspense file after passed its second committee on April 3. Bill proposals placed on the suspense file – which applies to any legislation costing $150,000 or more annually – are heard at a hearing once the state budget has been prepared. No testimony is heard at the suspense file hearing. Senate Bill 161 (SB 161) was introduced by State Sen. Mike McGuire in January and was first head in committee on March 14. The Senate’s Natural Resources and Water Committee unanimously supported SB 161. Members of the Senate’s Appropriations Committee voted 7-0 in favor of moving SB 161 forward. SB 161, if it becomes law, could cost the state $150,000 annually for staffing and overhead expenses, according to the Appropriations Committee.